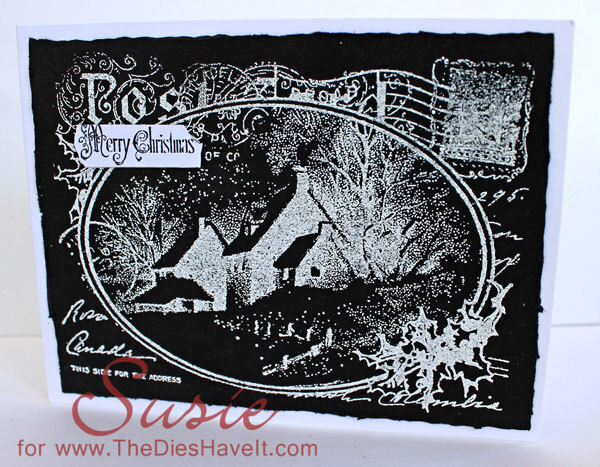 Here is another card I did using the Stampendous Snowy Postcard stamp. This time I used white embossing power on black cardstock and I love the way it just pops. If you were mass producing cards...this one would be a great stamp to use. Anyway....hope you like today's card. check out this link to see the one I did in red embossing tinsel on white cardstock last week.